Many people are looking to take advantage of the current low rate mortgages flooding the market through home refinancing. With the right rates and payment plan, you could save tens of thousands of dollars over the years on your mortgage loans thanks to refinancing. However, before you rush off to your local mortgage lenders demanding a new mortgage, there are a few things you should know about your home — and yourself — in order to get the best home refinance rates you can. Know Your Credit Score. If you’ve already been through the mortgage process before, you know how important your credit score can be in determining your interest rate. The same holds true for refinancing. If you can show that your credit has improved since your last loan application, all the better. Building credit is a great way to lower your home refinance rates for a more favorable mortgage plan. Know Your Home’s Value. The housing market has improved tremendously since the “bubble” burst back in 2008, and many homes have since increased in value. That’s especially true here in Nashville, where the housing boom has caused real estate prices to soar in recent years. Understanding your home’s current value, as opposed to when you bought it, will be an important factor in determining how you can refinance your mortgage or negotiate a new loan. Know What the Competition Can Offer. Don’t assume that every broker will offer you the same home refinance rate, or even that what they say is final. Rates are often negotiable, and the better prepared you are with a number of quotes from different brokers and a thorough understanding of the current market, the better you’ll be able to counter offers and get the best rate you can afford. Just like a first-time mortgage, lock in the rate as soon as you are comfortable with the numbers. Home refinancing is a great way to save money and make the most of your mortgage, so long as you know how to secure a great deal. Get the facts, then get working on finding a refinance plan that’s right for you. Need to learn more about mortgage rates in Nashville, TN? 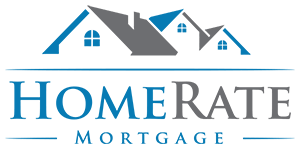 Contact HomeRate Mortgage anytime.